A Gig Harbor man sent in this picture of a cougar to Washington Department Fish and Wildlife he captured with a trail camera Jan. 1 in the Rosedale neighborhood of Gig Harbor. Jeff Summit, a Washington Department of Fish and Wildlife enforcement officer, said that they assess the credibility of sightings partly by the descriptions they get. What Sara Keenan saw early Monday morning would have frightened anyone. 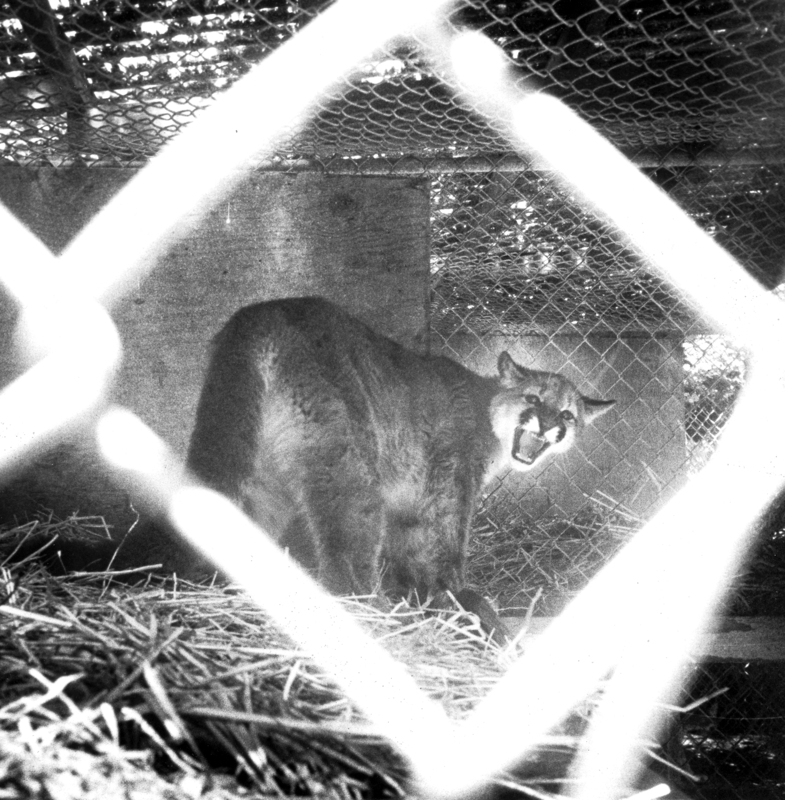 As she was opening the barn doors at her Carney Lake Road property on the Key Peninsula, a cougar watched her from behind the manure pile. There have been many reported cougar sightings so far this year, Summit said, but only seven have been deemed credible. He said he usually asks callers about the lighting, time of day and a description of the animal to determine whether to investigate further. Like most other Sunday night, Keenan was bringing her horses back into the barn just after midnight. “My horses were (going) nuts,” she said, and she had to settle all four of them down. Keenan is no stranger to wildlife, she said. She has lived near Carney Lake with her horses, dogs and chickens for almost 9 years. This was not her first time to see a large cat at her property. “But never this brazen,” she said. What Keenan reported lit up social media networks on the Key Peninsula. “Bears and cougars (cougars especially) are excellent at stealth, and most people are near one without ever even knowing it. They usually stay quiet and avoid interaction with people,” Phillip Denton wrote on Facebook earlier this week. Others offered advice on how to coexist with the wild cats. “Keep any food source like livestock locked up at night. Cougars tend to be nocturnal. You may be scared and startled but you have to protect your livestock… You truly are living in their domain,” wrote Jenny Detmering. Many others shared their own encounters, real or mistaken. According to Fish and Wildlife biologist Michele Tirhi, roughly 80 percent of reported sightings end up being of something else. This doesn’t mean that there are no cougars on the Key Peninsula, Tirhi said. “But it is very rare to see one,” Summit said. Having said that, it is “not outside the norm” for cougars to roam the area, he quickly added. “Cougars have a huge, huge home range,” he said, roughly 150 square miles. A photograph of one was captured by a trail camera a Gig Harbor man had set up on his property in the Rosedale neighborhood, Summit said. 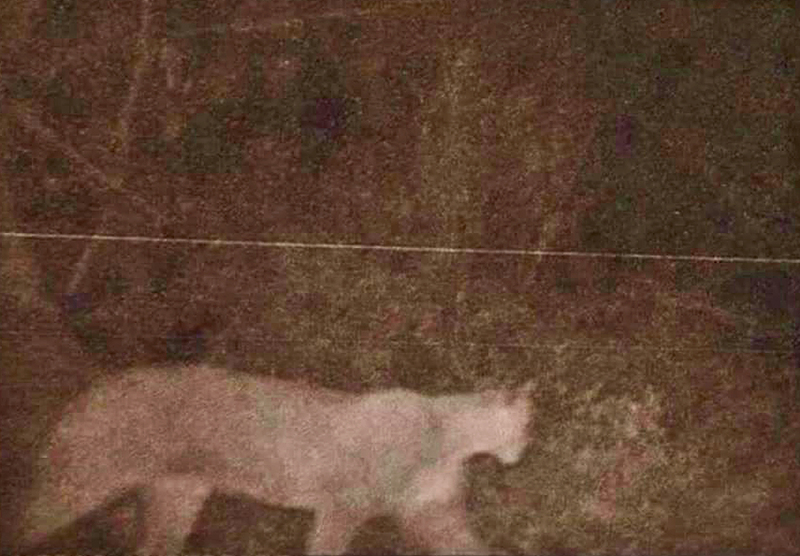 Barely 8 hours after the snapshot was taken, he said the cougar was spotted six miles away. If a domestic livestock is killed, “we’ll come out,” he said. Even then, “there is not a whole lot you can do.